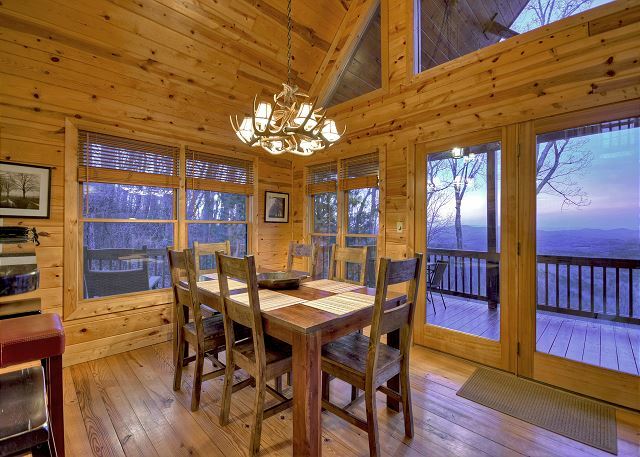 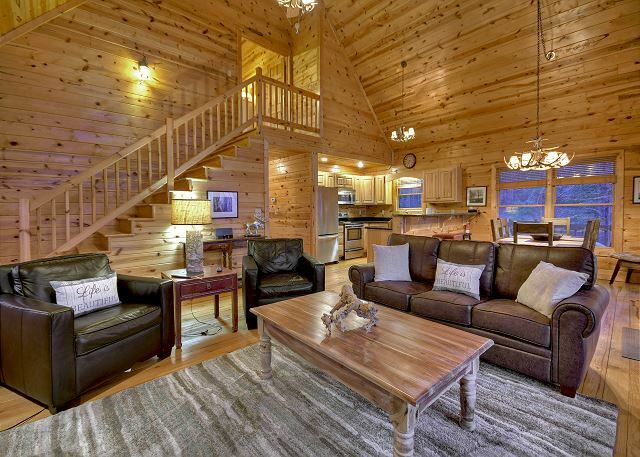 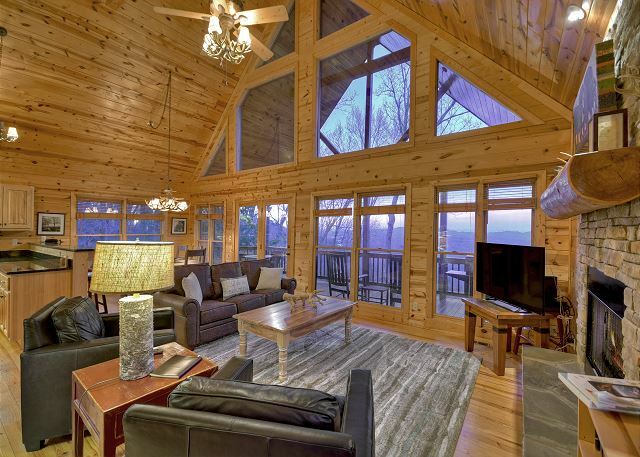 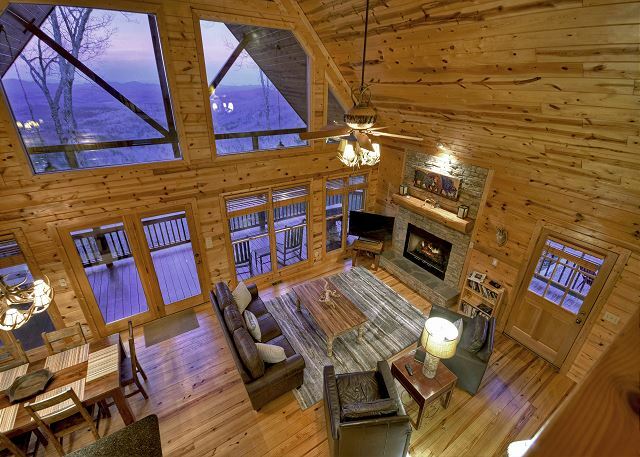 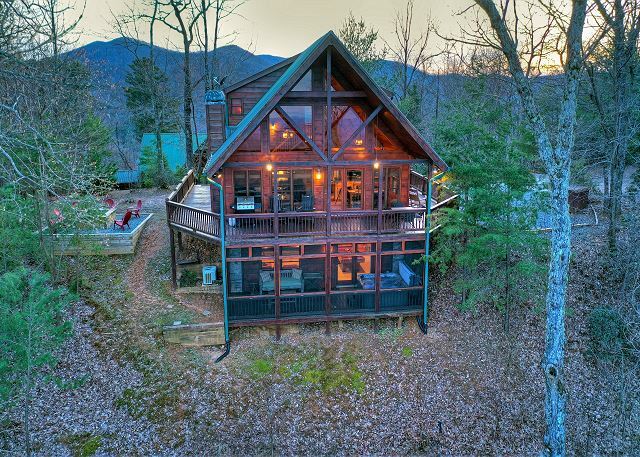 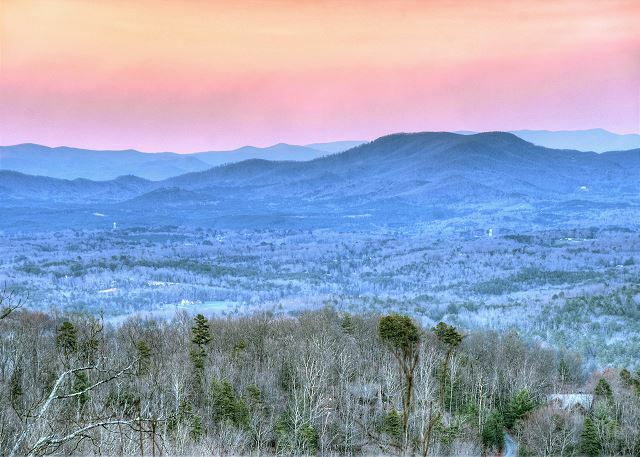 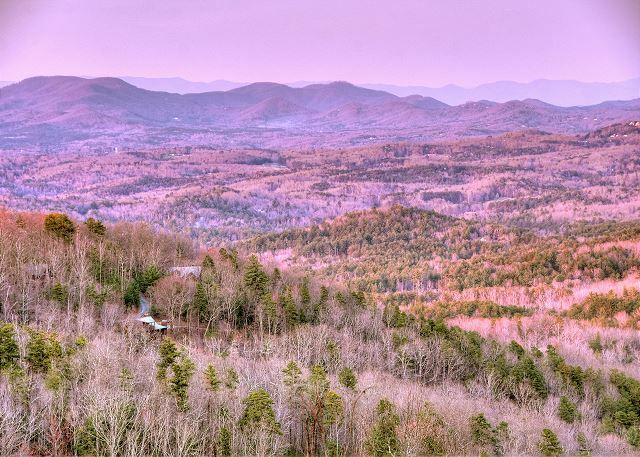 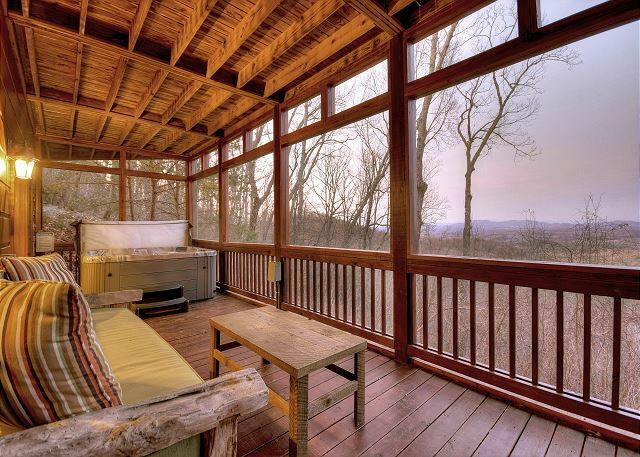 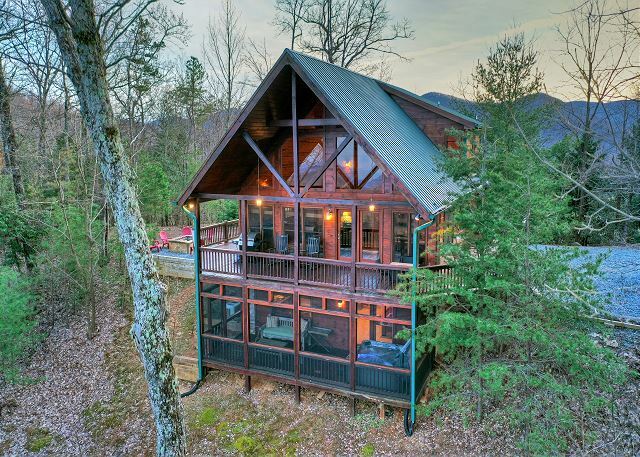 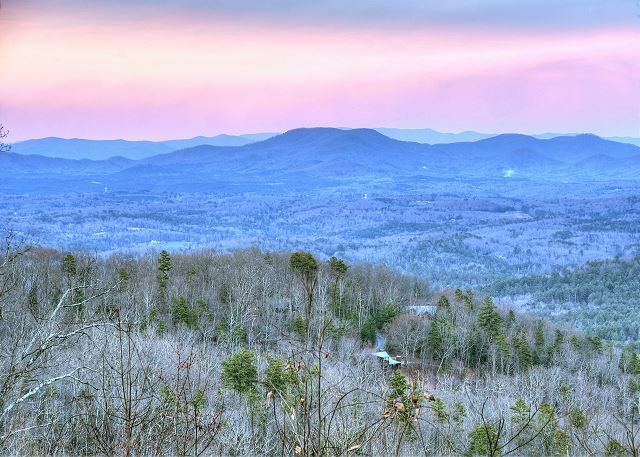 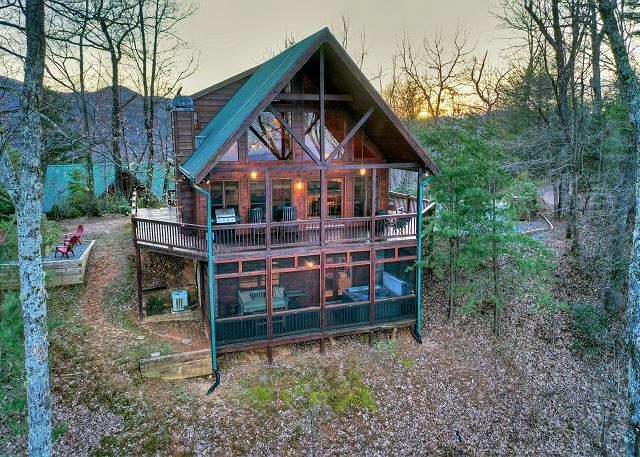 Appalachian Sunrise is an incredible 3 bedroom cabin with the MOST amazing Views!! 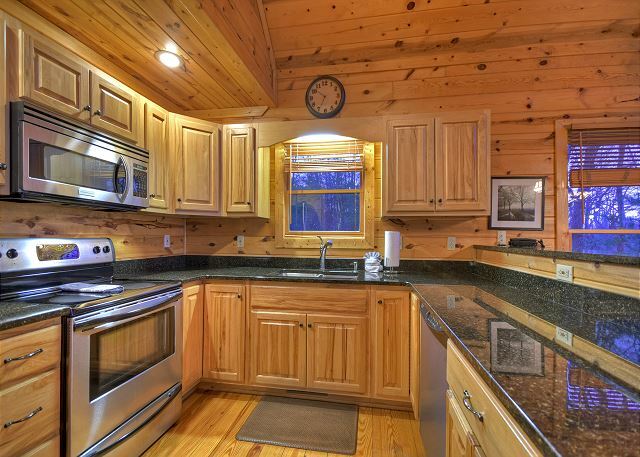 Only 17 minutes from Downtown Blue Ridge, Lake Blue Ridge and about 20 min to Toccoa River. 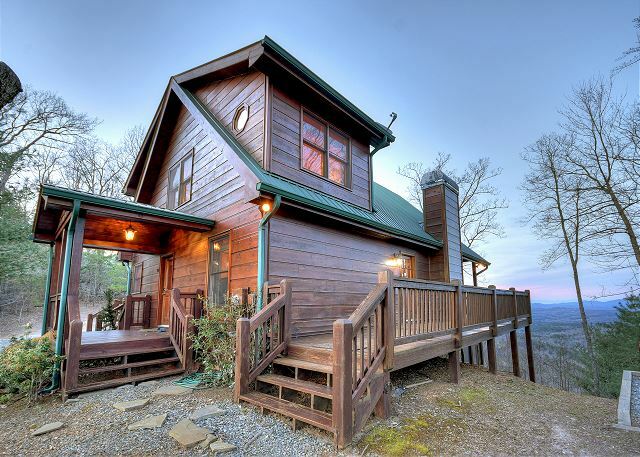 Great walking and hiking right from the cabin. 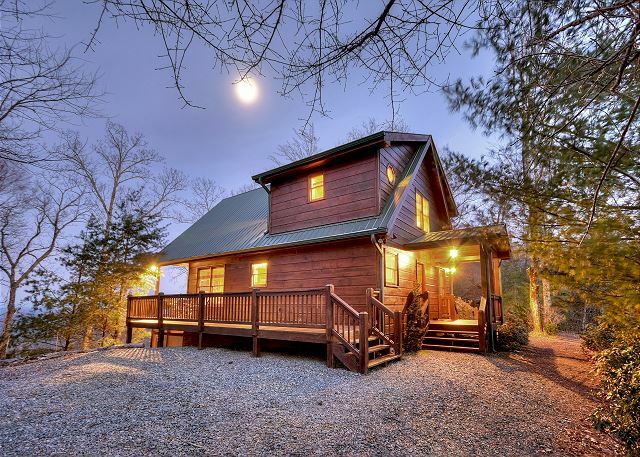 You'll love the serene landscape driving up to this beautiful cabin. 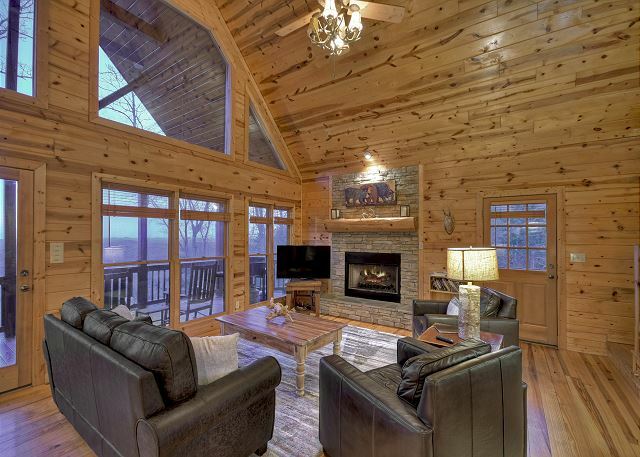 Once you walk inside the cabin, the floor plan opens with a cathedral ceiling and fabulous open kitchen, dining, and living room area with a Gas Log Fireplace and Flat Screen TV. 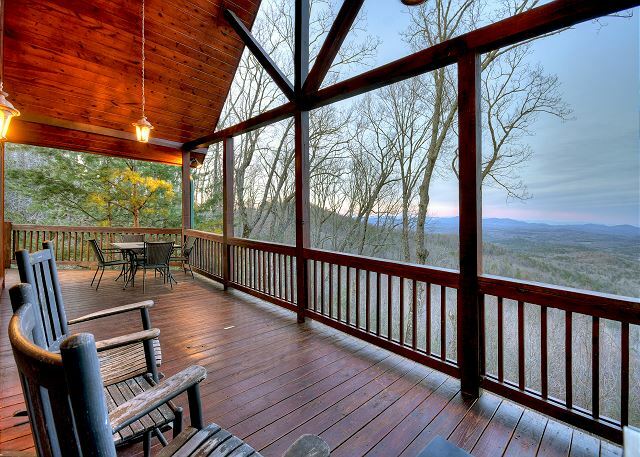 The wall of glass overlooking the spectacular Views will take your breath away! 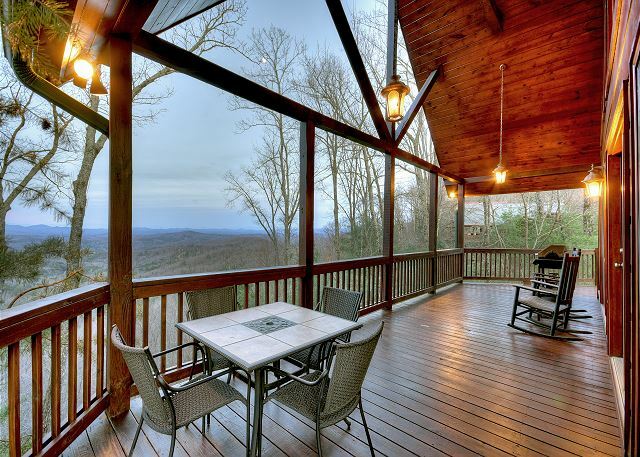 Walk out onto the covered decks and enjoy the mountain air, layers of mountain views, or step out to the firepit and have a campfire evening! 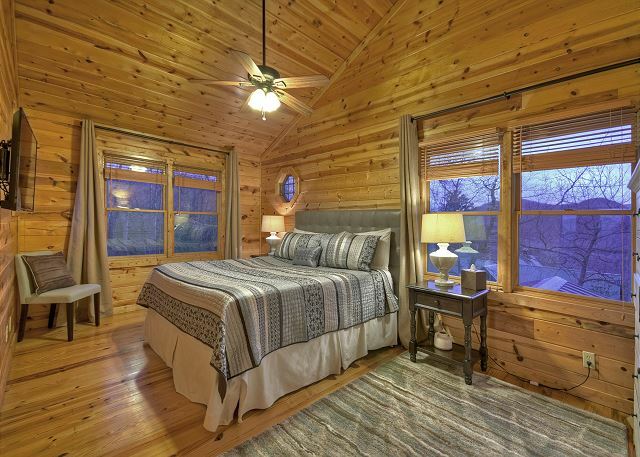 The master Suite is located on the upper level with a King Bed and Flat Screen Smart TV with Dish Network and a Full Bath with Tiled Shower. 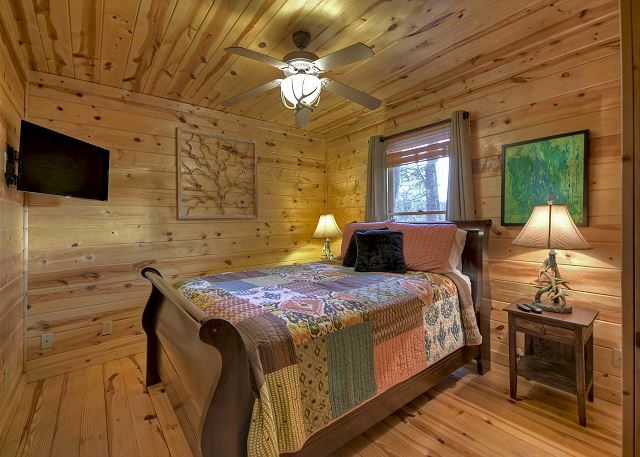 The Main Level bedroom offers a Queen bed and a Flat Screen Smart TV with Dish Network. 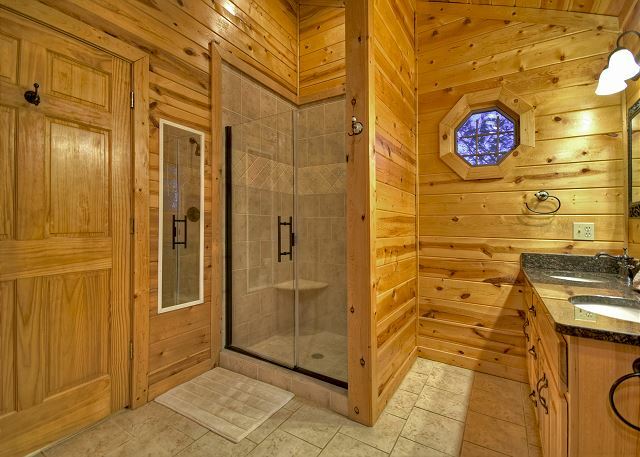 Main Level Bathroom offers a tub/shower combo. 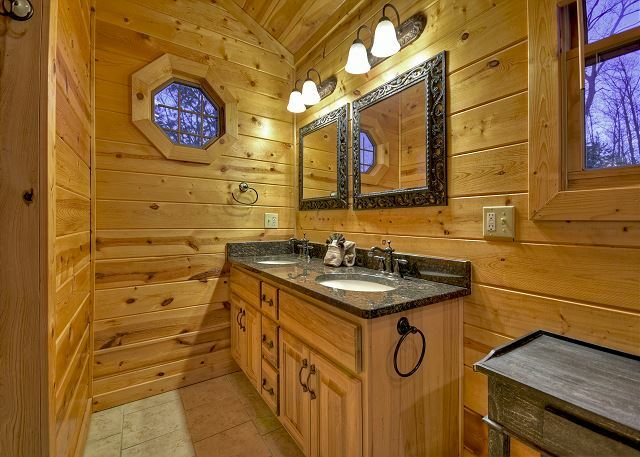 The washer/dryer is also in the hallway of the Main Bathroom. 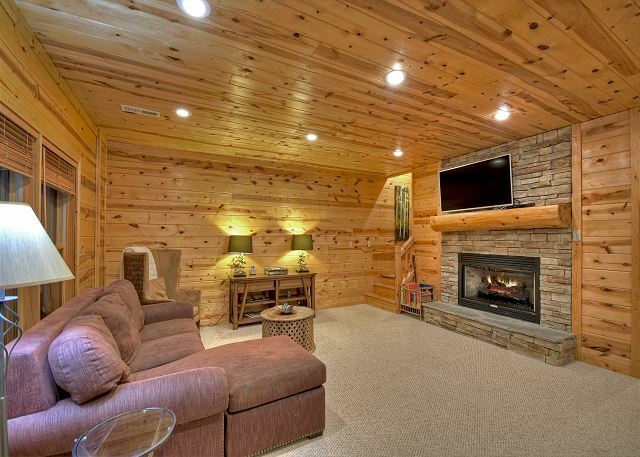 The lower level features a second living room with an additional gas log fireplace, Flat Screen with Dish Network and a rec room with Pool Table. 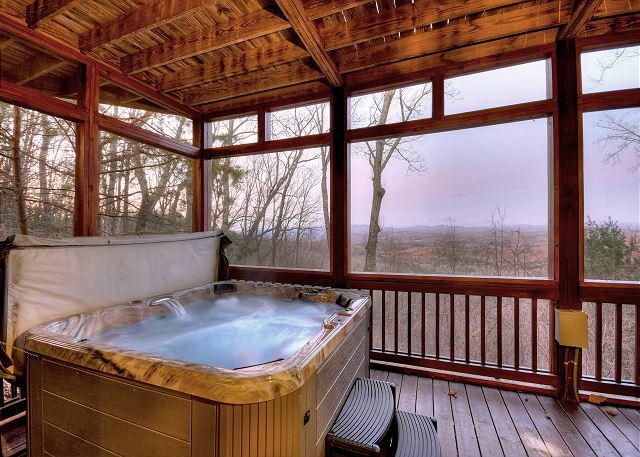 Walk outside to the screened porch where the 6 person hot tub is located overlooking the gorgeous mountains. 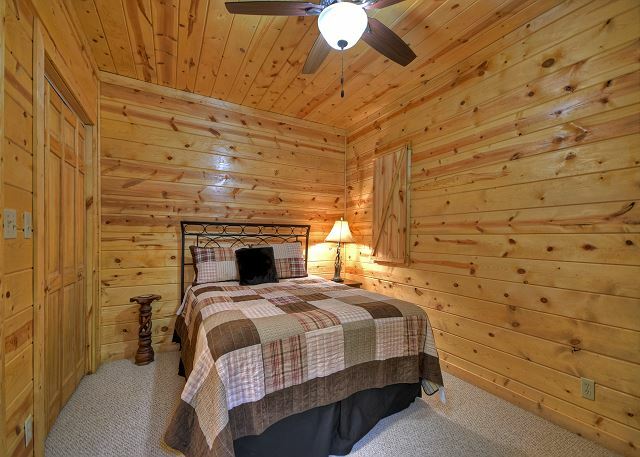 There is a 3rd Bedroom on the lower level with a queen bed which also features a flat screen smart tv with Netflix and Dish Network. 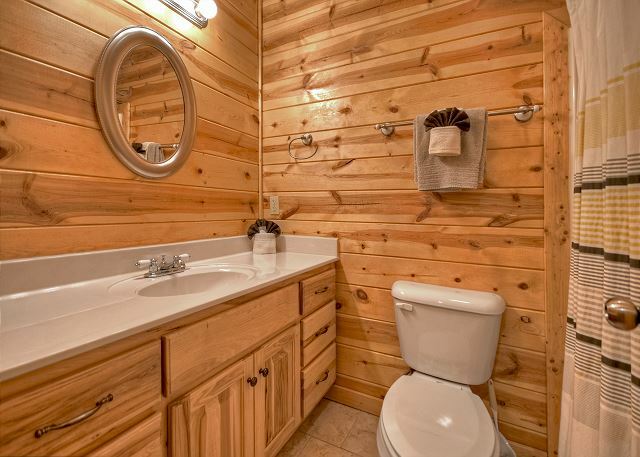 There's also the 3rd full bathroom on this level. 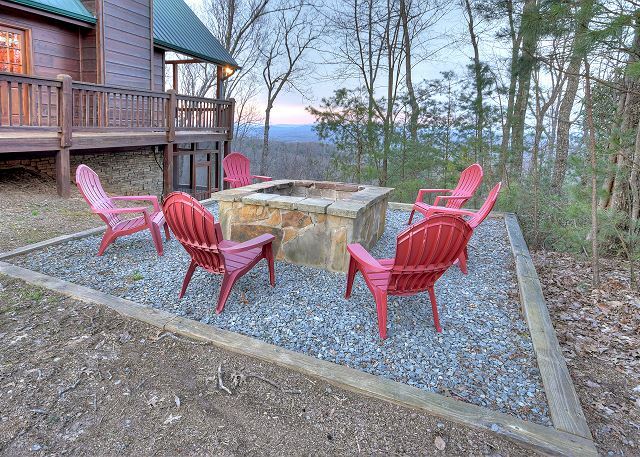 Appalachian Sunrise offers WIFI, a Gas Grill, and mostly a Vacation you won't forget!!! 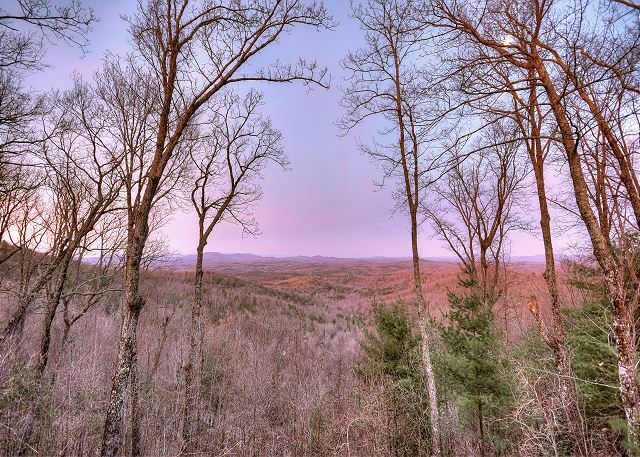 We were nervous driving up the dirt road to the top of the mountain. 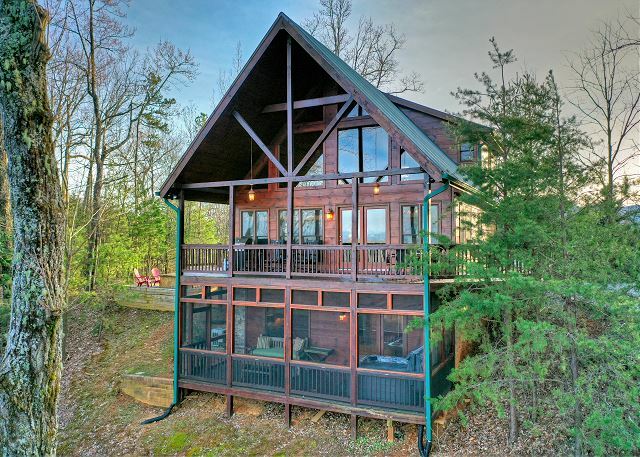 But once we got there and saw the beautiful view and great cabin space we were in heaven. 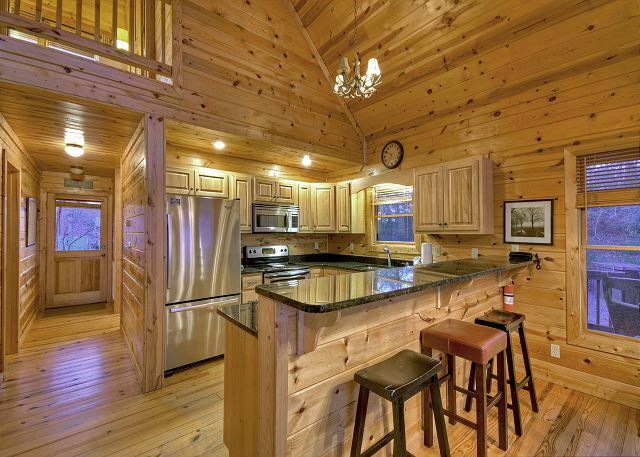 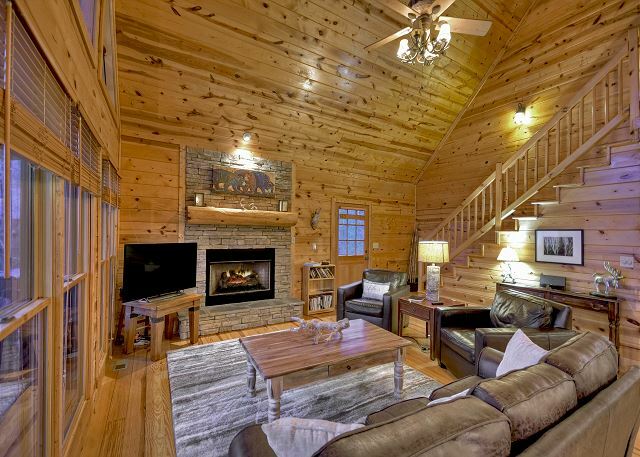 The cabin is great for entertaining and relaxing with friends and family. 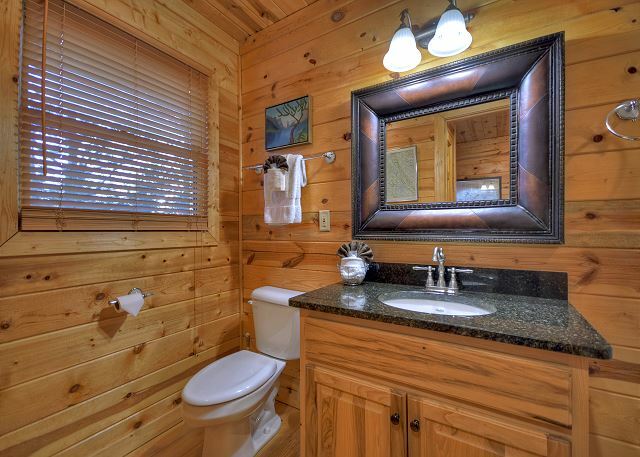 Holly was great at picking out a cabin to give us the best experience. 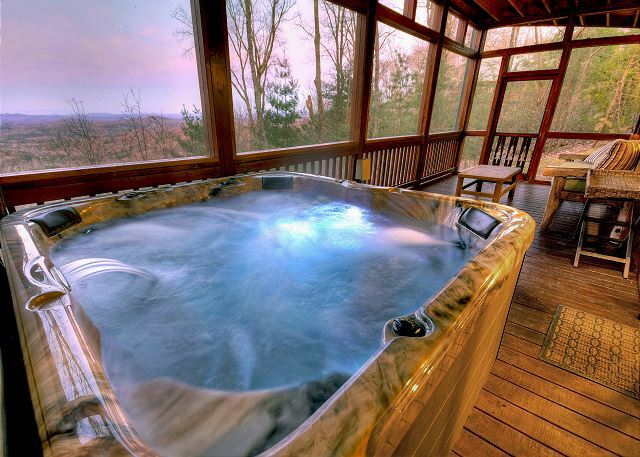 We will be back. 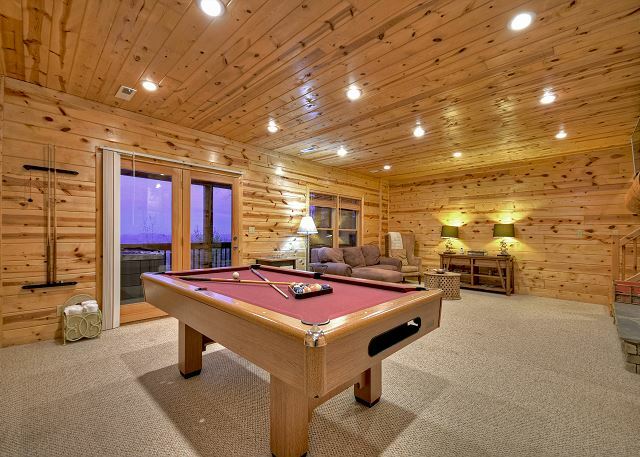 This property is amazing! 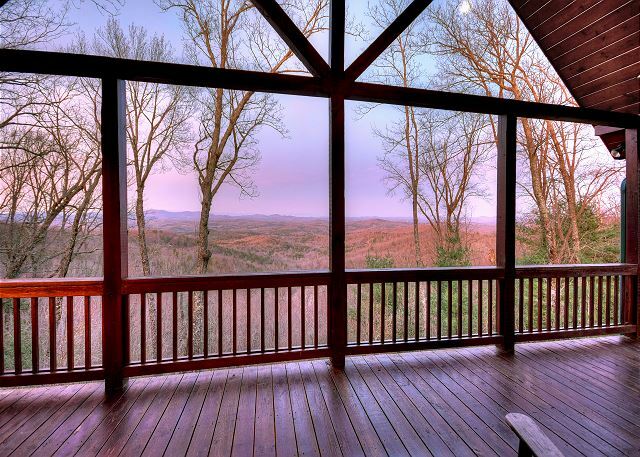 The view from the moment you step in the front door is breathtaking! 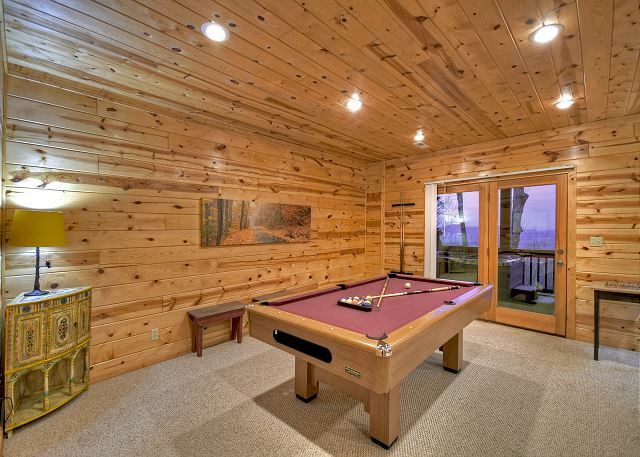 Very spacious with all the necessities. 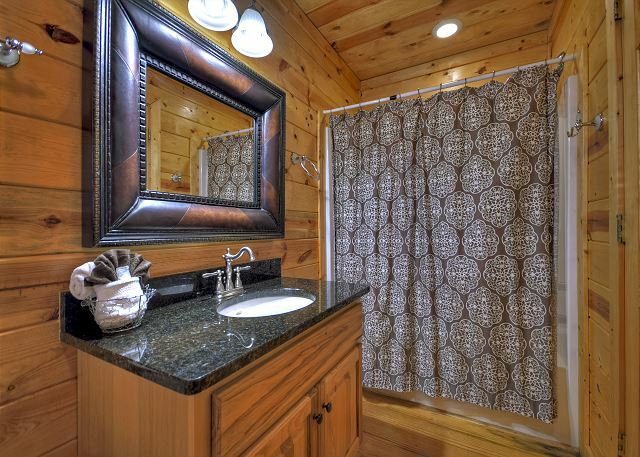 Clean, well-maintained, and customer service was awesome!